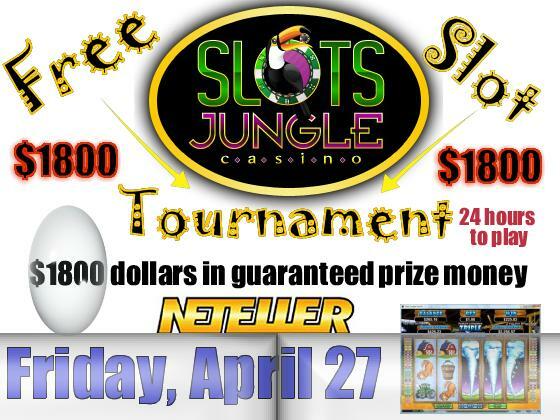 NEXT TOURNAMENT: UNKNOWN/MAYBE 1-8-12 – PRIZE: $1000 – CASINO: Slots Jungle Casino – Register Now! question..does my email address have to match with my username at Winpalace or just my username gets me in? So we just login and win palace and we will be able to play in the tournament? yes, if you send your username you have to enter on ” Tournaments” and play there only, not at any games. I tried and WP live chat said i need a “withdrawable amount” in my account before i can register for tourneys.I signed up the first day.I uninstalled and reinstalled WP from your site.So i dnt know…can u figure out whats going on? I did the same thing. And I’ve just spoken w/LiveHelp and been informed that, no matter what did or didn’t happen w/the tournament (I tried for more than the 24 hours it ran to get in and couldn’t even find out HOW) I am not eligible because I haven’t made another deposit. WHERE CAN YOU GO TO PLAY FREE SLOT TOURNAMENTS IF I HAVE A MAC ? I CANNOT FIND ANY THAT YOU CAN PLAY WITHOUT HAVING TO DOWNLOAD!. Today tournament suppose to start and it is not even listed.. Protect your identity and computers.. Seemed to good to be true I was told to make deposit to enter ANY freeroll tournament by ALEX, now there sisters sights got rich off me and I stopped after being shafted out of winnings and shutting down on me casinos. NOW another excuse for getting money from people a FREEROLL tournament is just that FREE no chips or bonus required. Not with these guys listed on this page. The tournament is free, no deposit needs to be done, it starts in 3 hours, you only need to enter and participate in the tournament, support chats know nothing. Are you going just keep saying the same thing? I think we all can see the tournament button but I dont see anyone, except you, saying there’s a tournament that says “takefree”…IT”S NOT THERE!!! You must be enjoying this or something…kinda sad actually. Please respond so I can play! !